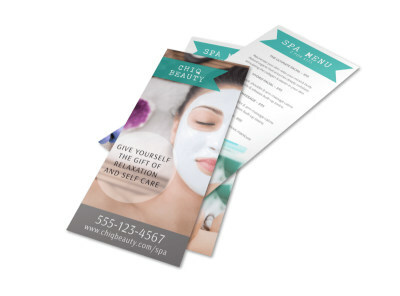 Make sure your salon clients know exactly what they’re getting into by providing them with a completely customized salon menu. 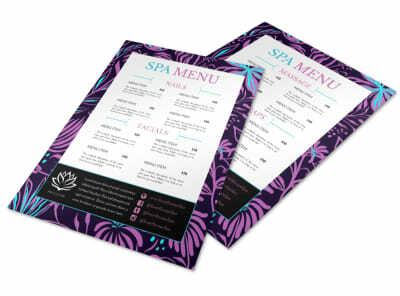 MyCreativeShop’s designers have put together a stylish assortment of beauty menu templates for you to choose from. Pick your fave, then use the tools in our online editor to give it your own pizzazz. Upload logos, photos, and more, touch up the color scheme, and lay out all of your services and prices. 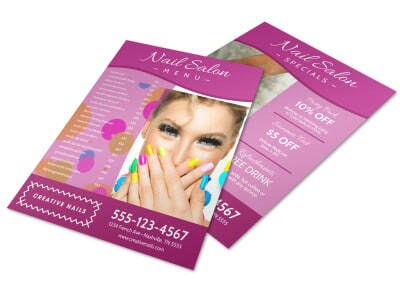 Print your finished project yourself or let us do it for you – the choice is always yours! 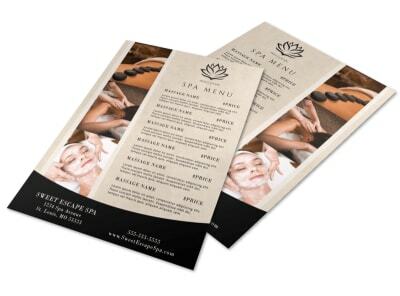 Simplify the mental effort required of your nail salon guests when they arrive for a relaxing escape by providing them with an easy-to-navigate, completely customized nail salon menu. 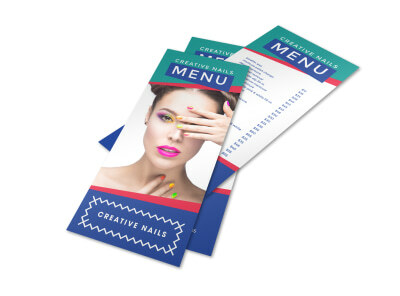 MyCreativeShop offers a variety of available menu templates crafted by graphic design professionals, so you don’t need to have any prior design experience. Use our online editor to upload photos, switch up the layout, and even put together a color scheme that reflects your most-asked-for polish options (maybe the gray-green of Chanel’s “Black Pearl” or the deep purple of RGB’s “Plum”). Describe each of your services clearly, including service length and cost, so that your clients can make a stress-free choice. When it’s time to print, print it yourself or entrust the job to us – we’ll deliver a premium print job right to your door.